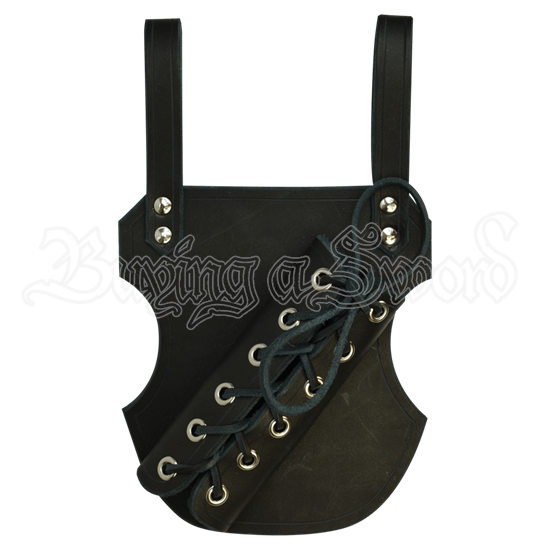 This sword frog is designed to suspend the sword scabbard from a waist belt. The frog is available at an angle so drawing your sword is comfortable and easy. It is also available in straight up and down, which is suitable for short swords. If you select Right Handed, the frog will go on your left side for a right hand draw. If you choose Left Handed, the frog will go on your right side for a left hand draw. 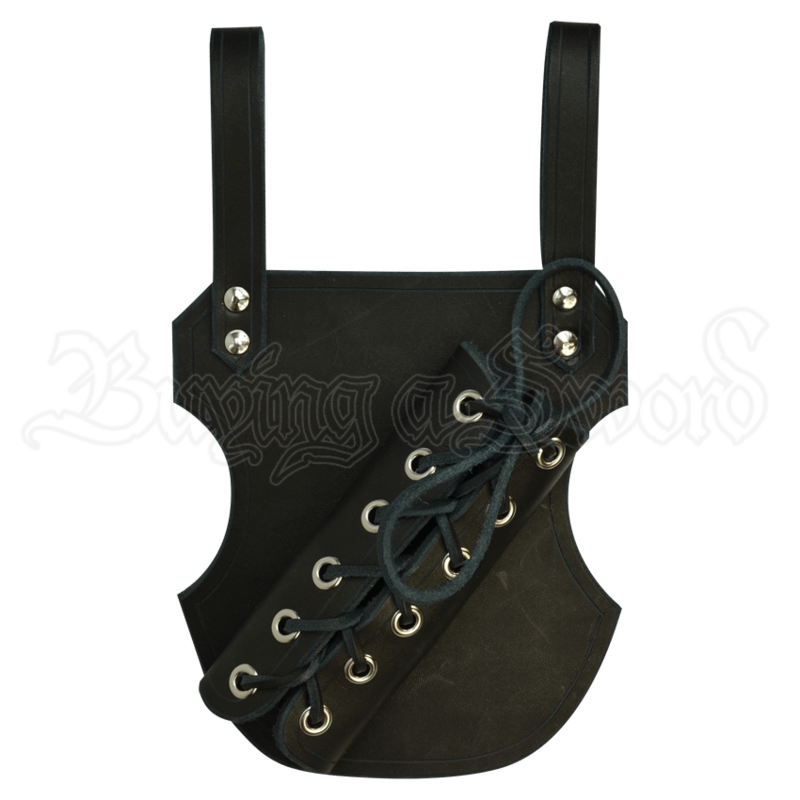 It comes with leather ties that adjust to fit all size scabbards. It is available in black with steel hardware or brown with brass hardware.